Hello all! I hope your day is starting off bright and cheery! 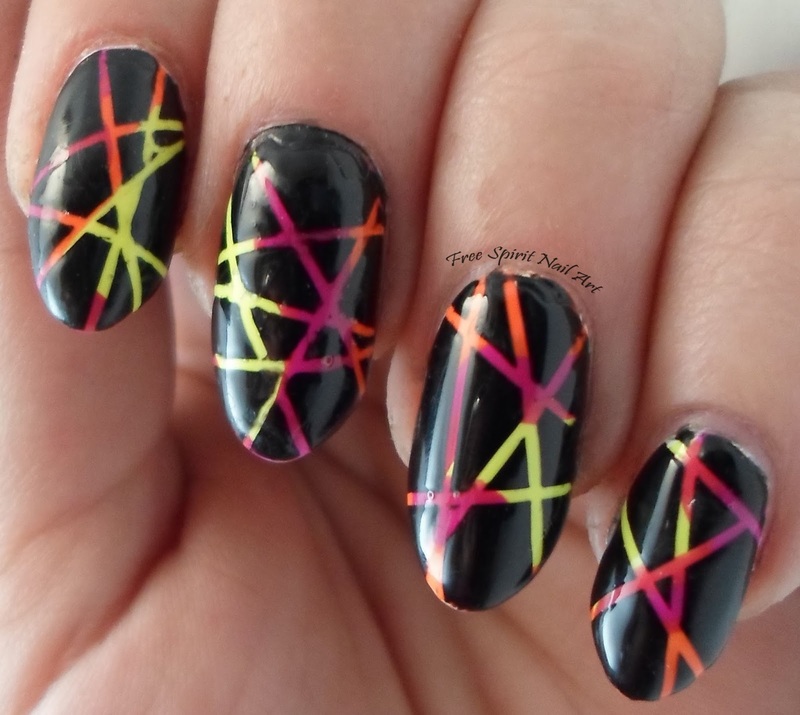 Today I'm sharing with you my Laser Nails. 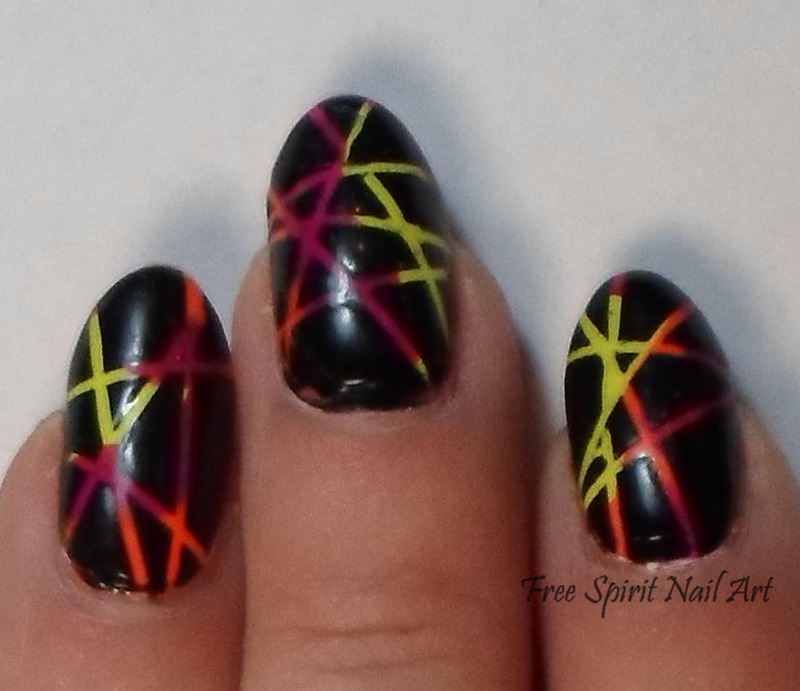 My last post is the background for this mani. 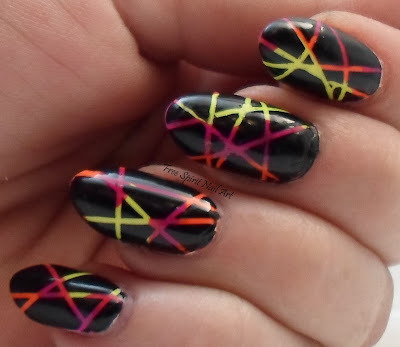 I did my background then put down stripping tape and painted black over the top then pulled the tape off to leave these stripes showing the neon color underneath. The black is Wet n' Wild Black Creme. I wish I had my cuticle line cleaner but overall these are pretty neat. My family really liked these but I miss the in your face of the neon underneath! I will have to try these again with greens and blues but I think glitter is calling my name for my next mani. Please share it if you life it and stay tuned for some glittery maddness coming up next!